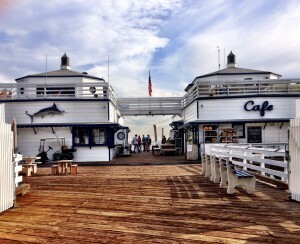 The famous Malibu Pier isn’t just famous for the breathtaking views from down the boardwalk, but also for the well-known and beloved restaurant that attracts thousands of visitors each month, the Malibu Farm Pier Café. If you’re in the area and looking to indulge in a fresh, authentic and delicious meal, than you’re in luck because it doesn’t get much better than this. 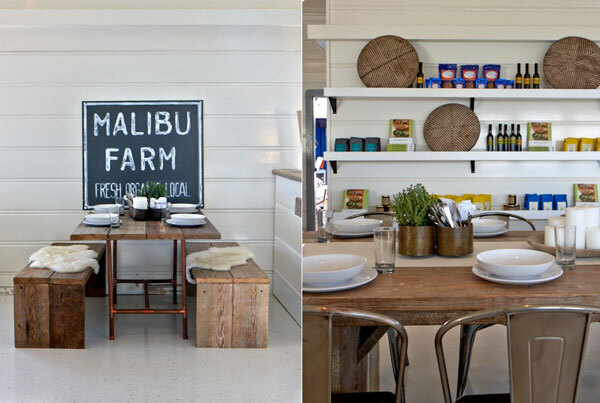 The food at Malibu Farm Pier Café is made fresh with the most organic ingredients around. Just about each and every menu item is prepares with whole-wheat flours and whole grains, a lot of fresh fruits and veggies. The best part is that they use products from their own farm eggs, persimmons, figs, lemons, pomegranates, apricots, asian pears, carrots, beets, asparagus, and fresh herbs. When you stop by for a bite, prepare for a healthy meal that is filling and delicious. Try their kale salad, including kale, romaine, parmesan and watermelon radish; the vegan chop, including kale, romaine, butternut squash, beets, avocado, and garbonzo beans; the burrata fruit including burrata cheese, seasonal fruit, arugula and sesame seeds. Not in the mood for a salad? Try a burger or one of their main dishes including; grassfed beef burger with brioche bun, havarti cheese, pepperoncini aoli, tomato, arugula, red onion and broccoli mashed; the grilled skirt steak including black and white rice and roasted veggies; the vegan coconut offering tofu, veggies, black and white rice and coconut sauce. 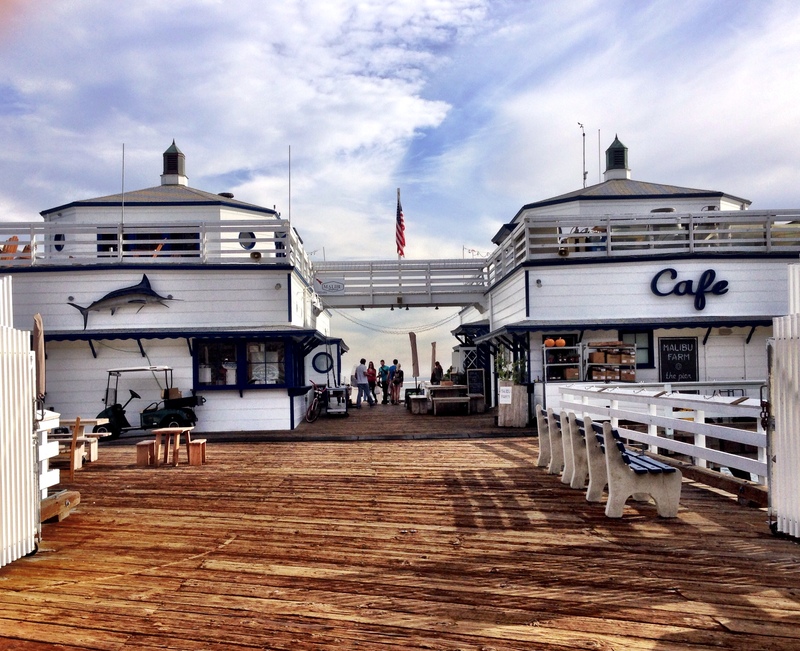 Regardless of what you choose to order, you will not be disappointed in the service, meal itself and/or the beautiful views from any spot inside or outside the restaurant. If you plan on heading to Malibu, don’t miss an opportunity to dine at the famous Malibu Farm Pier Café. 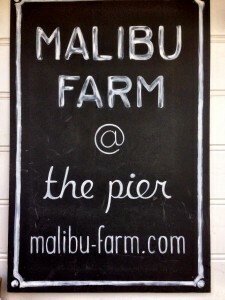 Check them out at 23000 Pacific Coast Hwy, Malibu, CA 90265, or visit them online at, www.malibu-farm.com.